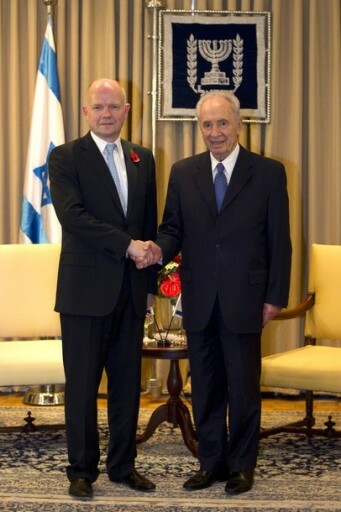 November 02, 2010 (KATAKAMI / HAARETZ) — William Hague arrives in Israel on Tuesday for his first visit since being appointed foreign secretary in Britain’s recently elected Conservative government. 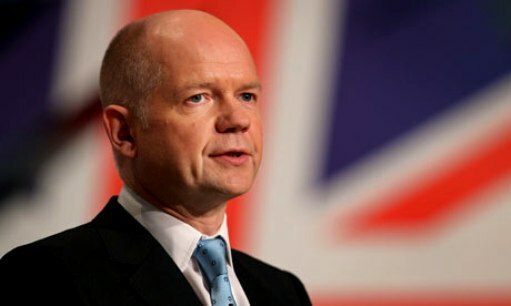 British Foreign Secretary William Hague, who is scheduled to arrive in Israel on Tuesday evening, will hold a secret roundtable discussion on the Iranian nuclear program on Wednesday morning with a long list of senior Israeli officials involved in this issue. This is Hague’s first visit to Israel since being appointed foreign secretary in the recently elected Tory government, and the roundtable discussion is being held at his request. His goal is both to gain an in-depth understanding of the Israeli government’s positions on this issue and to hear assessments of Iran’s nuclear program firsthand from senior Israeli defense and intelligence officials. 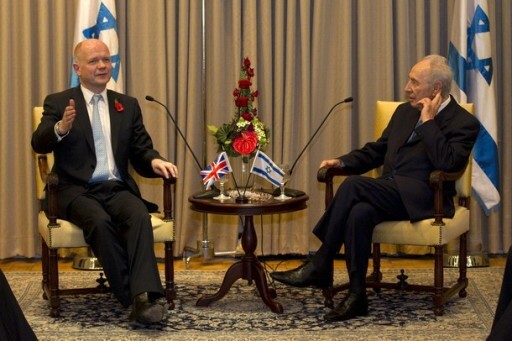 The closed meeting is scheduled to take place at the British ambassador’s residence in Ramat Gan, and those invited include Mossad chief Meir Dagan and the director general of the Israel Atomic Energy Commission, Shaul Chorev. Other Israelis on the guest list include Deputy Foreign Minister Daniel Ayalon, Intelligence and Atomic Energy Minister Dan Meridor and Strategic Affairs Minister Moshe Ya’alon. But it seems that at least some of the ministers will skip the roundtable, because it apparently will conflict with a cabinet meeting. 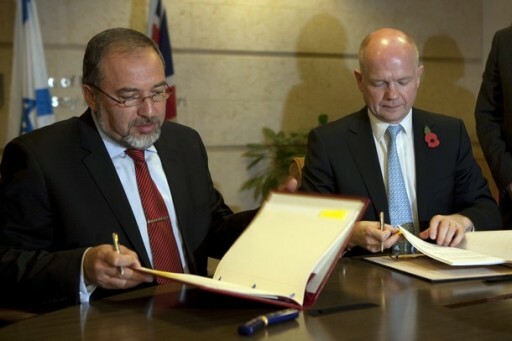 The British embassy said Britain shares Israel’s concern about the threat posed by nuclear weapons in Iran’s hands and holds regular discussions with Israel about this issue, but cannot at this stage discuss the details of the secretary’s schedule for the visit. 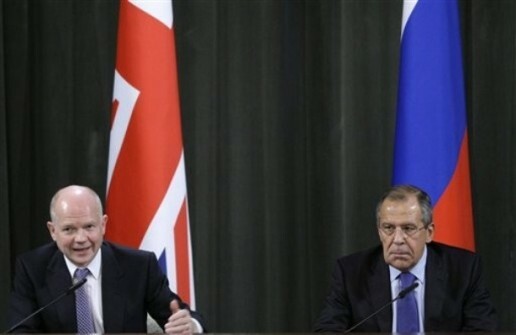 Britain and France have spearheaded the battle against Iran’s nuclear program in the European Union. After the UN Security Council approved a fourth round of sanctions against Tehran in June, London and Paris worked hard to get the EU to approve additional sanctions of its own against Iran, which it did in late July. 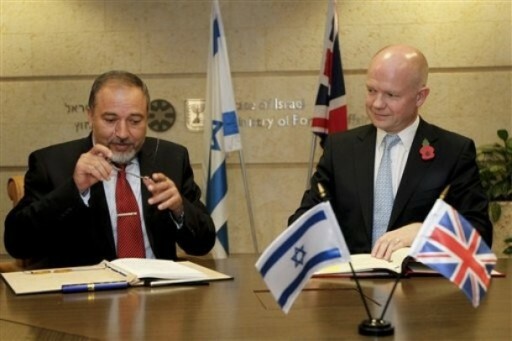 Israel and Britain cooperate very closely on Iran in both the intelligence and the diplomatic spheres. 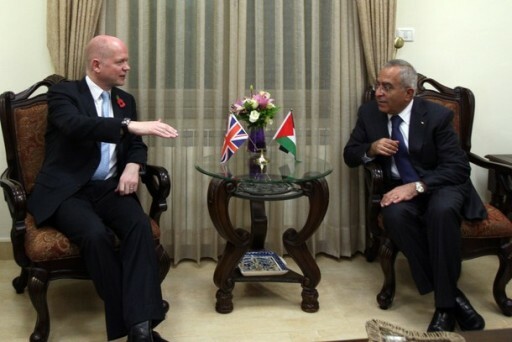 This cooperation is particularly noteworthy given the two countries’ deep differences on the Palestinian issue. 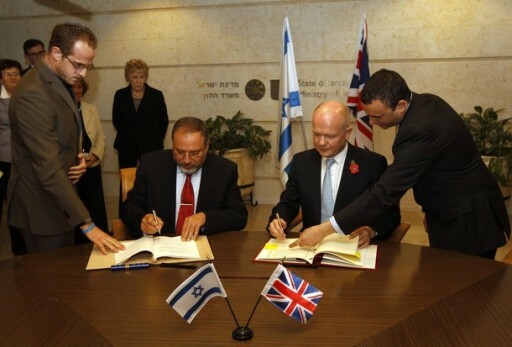 And Britain’s new ambassador to Israel, Matthew Gould, is an expert on the Iranian nuclear issue. 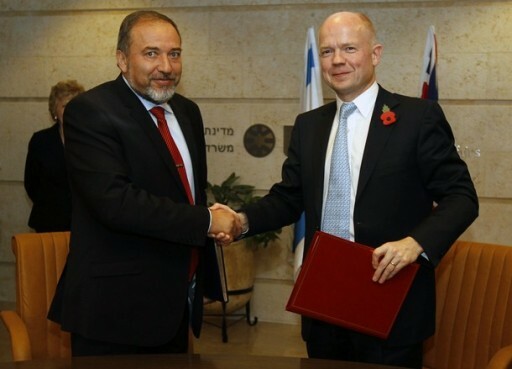 He dealt with it both when he served as deputy head of mission in Britain’s embassy in Tehran a few years back and in his most recent post before coming to Israel, as principal private secretary to then-foreign secretary David Miliband. One thing Hague will be looking for at Wednesday’s roundtable is Israel’s assessment of how effective the new sanctions against Iran have been. Two weeks ago, Ayalon and a group of senior Israeli intelligence and defense officials were in Washington for a strategic dialogue that dealt solely with the Iranian issue. At that meeting, the Americans opined that the sanctions had succeeded beyond their expectations, thanks to widespread cooperation by many countries worldwide. The Israelis agreed that the sanctions had been more effective than anticipated and were causing economic hardship in Iran that had increased political pressure on its government. Nevertheless, the Israelis stressed, there is no evidence so far that the sanctions are causing Tehran to rethink its nuclear program, and they certainly have not caused it to stop enriching uranium. That is undoubtedly the assessment they will repeat to Hague tomorrow. October 25, 2010 (KATAKAMI / UK IN RUSSIA) — This week Britain’s coalition government announced its spending plans for the next four years. We are taking urgent steps to reduce the national debt and deal with the fiscal legacy we inherited. We have shown that we have the resolve and determination to live within our means. And we have set out to reinvigorate Britain’s diplomatic engagement with the world, elevating our links with the fastest growing economies and championing Britain as a home for business and investment. We understand that economic recovery starts at home, but that we have to look beyond our shores for new opportunities and new partners. The scale of the economic challenge is formidable. We inherited one of the largest Budget deficits in Europe and the G20. But we have a clear vision for the future of our country. We have chosen to spend on the country’s most important priorities – the health care of our people, the education of our young, our nation’s security and the infrastructure that supports our economic growth. We are building a fairer and more responsible society, with more opportunity for people to lift themselves out of poverty, and with state support focused on those who need it most. We are reforming public services – improving transparency and accountability, giving more power and responsibility to citizens and enabling sustainable long term improvements in services. And we are building a stronger economy, with more jobs, investment and growth for a private sector-led recovery. We have protected as far as possible those areas of public spending which matter for economic growth and pursued reforms to make these more cost-effective. We know that we cannot have sustainable growth in the economy without healthy public finances. We have created a new independent Office for Budgetary Responsibility, so that the power to determine the growth and fiscal forecasts now resides with an independent body immune to the temptations of the political cycle. And we have pledged to eliminate the UK’s structural deficit by the end of this Parliament, which has been welcomed by the International Monetary Fund as a necessary path to ensuring fiscal sustainability and a balanced recovery. Our Spending Review is part of an ambitious plan to create a business environment that is one of the most competitive anywhere in the world. We understand that the British economy of the future must be one that is built on investment, saving and exports, and are determined to use our tough plans for fiscal consolidation as a springboard for growth and recovery through the private sector. From 2011 we will gradually reduce corporation tax to 24 per cent, giving Britain the lowest in the G7 and one of the lowest in the G20. We will reduce the small profits rate of corporation tax to 20 per cent. We will lower capital gains tax for entrepreneurs. And we will cut National Insurance contributions for employers, extend help to small businesses needing to access credit, and make Britain the easiest place in the world to start a business. But let us not forget that throughout the recession the UK has remained the sixth largest economy in the world. We have one of the most flexible labour markets in Europe and, according to the Organisation for Economic Co-operation and Development, the least number of barriers to entrepreneurship in the world. Our unrivalled financial services industry, our strong skills base, our global outlook and orientation, our creative talents, our world class universities and our central position between Asian and American time zones all demonstrate that we have an open economy and we are open for business. So we have a strong base on which to build. With that in mind, we want to reinvigorate the commercial focus in our relationship here in Russia. We are aware our two countries already enjoy excellent trade and investment relations – the UK is consistently one of Russia’s largest foreign investors. We want to continue working with you to open up pathways into new markets and unlock barriers to investment. We want to build a network of strengthened bilateral relationships between Britain and Russia that can act as the veins and arteries along which trade can flow in both directions so our two countries can grow and prosper together. And that is why the new Government is pursuing mutually beneficial cooperation with Russia. 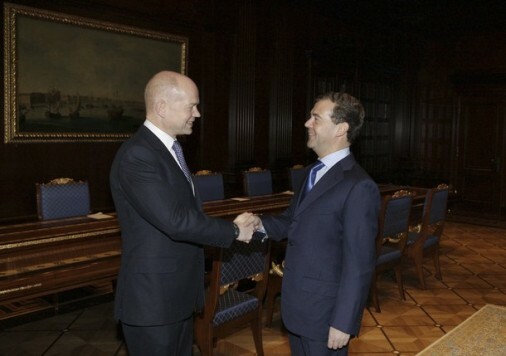 Last week during William Hague’s visit, he and President Medvedev agreed a Knowledge Partnership to help promote partnerships in business, science and education in support of Russia’s modernisation. Next month’s visit by British Business Secretary Vince Cable will take forward the work of the UK-Russia Intergovernmental Steering Committee on Trade and Investment in important areas such as hi-tech innovation, energy efficiency and the Olympics. So we are confident that we are taking the right steps at home and abroad to help economic recovery in our own countries, and to contribute to a stable and prosperous global economy. 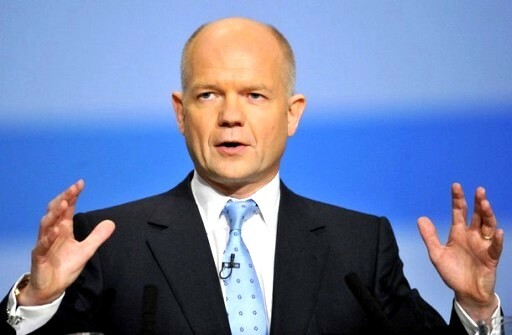 October 21, 2010 (KATAKAMI / UK IN SOUTH AFRICA) — Foreign Secretary William Hague added his support to Amnesty International’s campaign for the release of Burma’s 2,100 political prisoners on 20 October. The Foreign Secretary chose to highlight the case of Ko Mya Aye, aged 44, who is a leading member of the 88 Generation Students Group, an organisation synonymous with the long struggle for democracy in military-ruled Burma. Ko Mya Aye is serving his second spell in detention having previously been imprisoned between 1989 and 1996 for taking part in the 1988 uprisings. Following the Saffron Revolution in 2007, Ko Mya Aye was re-arrested and sentenced to 65 years in prison. Reports suggest he has been tortured and is in poor health. Many of these prisoners are held in detention in locations far from their families in harsh conditions. It is not uncommon for some political prisoners to receive draconian sentences as long as 65 years. 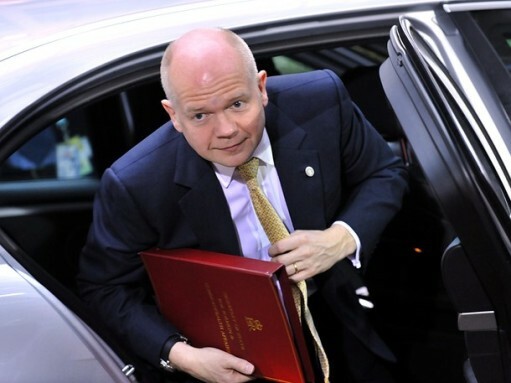 October 17, 2010 (KATAKAMI / FCO.GOV.UK ) — Foreign Secretary, William Hague discussed defence spending, Iran and the World Cup bid on Sky News. Adam Boulton (Sky News): This coming week will undoubtedly be the coalition Government’s most important yet, the announcement of the Strategic Defence and Comprehensive Spending Reviews will frame the terms of British politics and society for years to come. Well joining me now from his official country residence in Chevening is the Foreign Secretary William Hague. 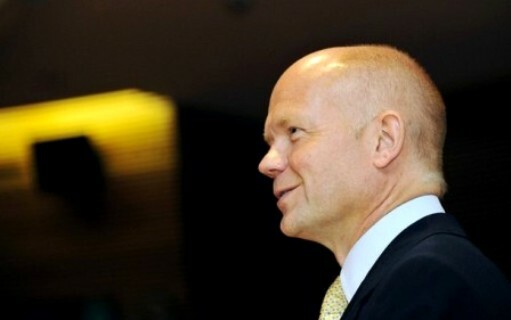 Thank you for being with us Mr Hague. 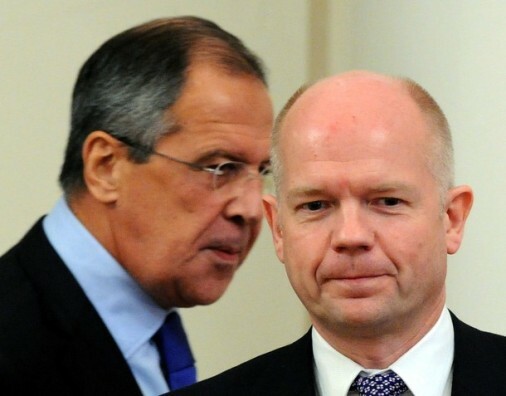 William Hague (Foreign Secretary): Good morning. AB: The first aspect of this we’re going to get is this National Security Strategy but isn’t the reality that the National Security Strategy is a case of cutting our cloth according to having frankly less cloth to go round so, inevitably, what ever you conclude Britain will be less well defended at the end of it? WH: No, of course it has to fit in to the financial situation, we have to find savings in the defence budget like most other budgets but the biggest problem we’ve had actually is not finding some savings it is dealing with the terrible legacy that we inherited of a defence budget that is thirty eight billion pounds over committed. The last Government entered in to commitments for which they didn’t have the money to the extent of ten million pounds for every day for the next ten years. And so sorting that has been very difficult, there is no doubt about that, that has been a very difficult process. But at the end of it we will make sure this country is properly defended, that we continue to have an independent nuclear deterrent, formidable intelligence agencies, highly deployable armed forces so we will remain a global player, we will remain a serious military power in NATO and in the world. But has it been a difficult process? Yes it has. And we’ll do more than that which is to make sure this country is properly equipped with twenty first century difficulties and that means we’ll invest more in some areas such as cyber security; cyber attacks are becoming an increasing threat not only to Governments but to national infrastructure, to businesses, for people’s own personal financial security. So we will have to put more in to some areas like that. AB: But it does follow doesn’t it that if you’re spending less, you say we can’t afford it or it was unfunded, your capability will diminish and, and for example something like the Falklands conflict which Britain waged back in the 1980s, I mean, it simply wouldn’t be possible to do that again would it with a navy of twenty ships? WH: … of any country in the world. AB: … (indistinct) what I’m talking about is that sort of projection around the world of, of military force for a specific reason, we wouldn’t be able to do that under the new plan. WH: Well again, well no I don’t really agree with that because look there we are in Afghanistan, we have a huge deployment in Afghanistan as, as everybody knows our troops are working so hard and so valiantly in Afghanistan and one of our priorities in this review has been to make sure that what is needed on the frontline in Afghanistan will be there. We’ve, in fact we’ve doubled the operational allowance for our forces in Afghanistan and that, that will be there over the coming years. So we will continue to be able to deploy forces in very serious numbers elsewhere in the world, of course not, we’re not a military power of the same nature as the United States but in, when you compare us to other European countries we will still have the ability to do that and be in the first rank of the countries that can do that. AB: But we will be dropping behind. 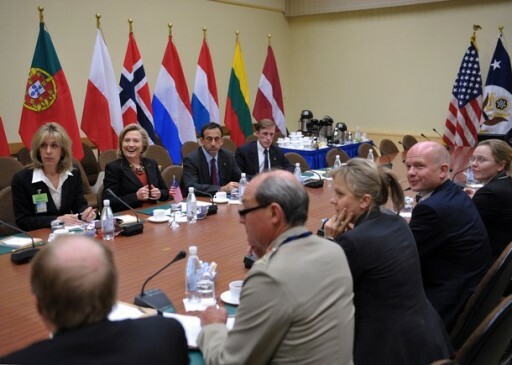 We’ve had Robert Gates, the American Defence Secretary, talking about European capability being hollowed out, we’ve had Hillary Clinton expressing concern as well. You know if the first duty of any Government is the defence of the realm you are, surely, through your cuts slipping in that? AB: … expressed to you her concerns about Britain’s plans? WH: … and so I’ve, I’ve, well not specifically about Britain and I, I’ve described to her the nature of what we’re doing just in, as I’m describing it to you, and I think the United States is reassured by that, that we will retain a wide spectrum of military capabilities. Anyone in office in the United States appreciates just how much Britain does in the world and we will be continuing to be a big contributor to NATO and to the collective defence of all NATO nations. AB: You say, for example, that the previous Government mismanaged the aircraft carrier project but to most people it will seem a bit odd to carry on building aircraft carriers and not to have fighter aircraft on them. WH: Well await the announcements is all I can say about that, the Prime Minister will set this out in detail later on this week how we’re going to approach this. It has, as I say, been a terrible problem to untangle because not only did they do all those things with the aircraft carrier but it, they then left us without, with building aircraft carriers that are not interoperable with our allies, that can’t be used for United States or French planes to land on them. So we have had to do a lot of work sorting that out and the, the result of that will, of course, be presented later this week. going to remain of it the Government’s priorities are going to be prestige projects of questionable value such as the aircraft carriers, such as Trident as envisaged while our actual basic strategic capabilities are going to diminish? WH: Again I would await the announcements if I were you about that. No we will continue to have a wide range of strategic capabilities and be adapting to the threats of the future, I really do want to stress this, this is central to our national security strategy to having a holistic national security approach. We have to think about the dangers of terrorism, we have to think about the dangers of cyber attack as well as the traditional thinking about conflict between states and whether Britain and our allies could be drawn in to such conflicts. So that requires in many ways more flexible armed forces, it requires us to really make sure we’re there in the information age not just in the sense of large, as you say, prestige projects. So we have been tackling all of that and that will be reflected in the National Security Strategy and the Strategic Defence and Security Review which will be announced over the next couple of days. AB: Well let’s just take one threat, for example Iran. We know that President Ahmadinejad has been in Lebanon this week and yet it appears that Europe’s response to that is to hold out some kind of hand of friendship. WH: We’re holding out the prospect of negotiations, not just Europe but, but the United States and Russia and China. 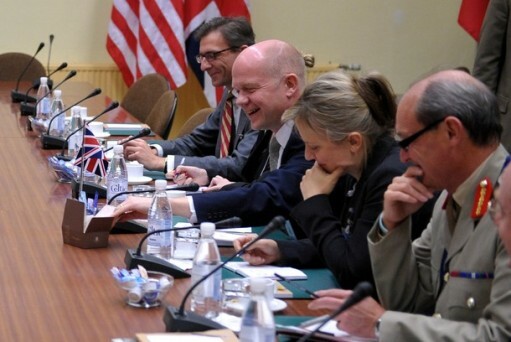 We met, the, the six Foreign Ministers, the so called E3 plus 3, we met in New York a few weeks ago and we’re absolutely agreed that we want to, that we offer Iran negotiations but at the same time as sanctions, at the same time as tough sanctions which I believe Iran is now considerably worried about. Now Iran has said that they will enter, the Iranians have said they will enter negotiations and we now want the dates for those negotiations and we want them to be about the whole nuclear programme. But while those negotiations are awaited and, indeed, while they go on the sanctions on Iran will be tightening. So this is in no way a softening or loosening of policy, it’s a twin track approach of saying to Iran there are, there are more sanctions coming down the track which effect your nuclear programme and may effect your wider economy in some ways but there’s also the offer of negotiations. And I think that is the right way to try to find a peaceful solution to Iran’s development of its, of a nuclear weapons programme. AB: But a peaceful solution’s really the only possibility isn’t it because military intervention seems to be unthinkable particularly with a diminished force? WH: I’m certainly not calling for a military intervention but none of us in, among the NATO countries have ever taken off the table the prospect of a possibility of military action, it would be wrong to do that because that would relieve pressure on the Iranian leadership but yes we want a peaceful and diplomatic solution to this. It was one of the reasons we want to find that diplomatic solution is that so that other nations don’t take it upon themselves to launch a military attack which would have wider consequences for the peace of the world. AB: I want to ask you about soft power; your Government has put itself very strongly behind the bid for the World Cup in 2018, do you think that, that Britain’s chances of getting that are diminished by our refusal to pay bribes? WH: Well one would hope not. Certainly we’re putting a lot of energy in to this World Cup bid, the Prime Minister and I and the Sports Minister and others across Government have been lobbying for this bid. We will, of course, only do so in an absolutely correct way so you’re quite right to say in your question we will not be paying any bribes. It’s disturbing to read what we read in today’s newspapers, I don’t know the truth of that but these are serious allegations and, of course, we want all the, all the proceedings of the World Cup bid to be carried out in a way that is ethically correct and that therefore means everybody can respect the process and respect the result. And I would call on all nations involved to carry out these proceedings in that way. AB: But know, knowing what we know about FIFA do you think that the President of FIFA really is a, a fit person to be feted in Number 10 Downing Street by the Prime Minister? WH: Well look we, we are, we want to win the World Cup bid, we want to bring the World Cup to Britain so, of course, we have to deal with the people leading FIFA but as to all the allegations that are made today I don’t think you can expect me to give a instant judgement on them all but I would just say we’re very disturbed by those allegations. Britain, whatever happens and whatever other countries do, we’ll deal with this in a correct way doing absolutely nothing corrupt, paying no bribes and not corrupting this system in any way. 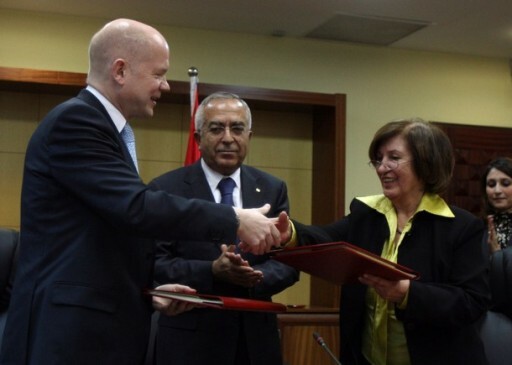 AB: William Hague thank you very much indeed for joining us from Chevening. 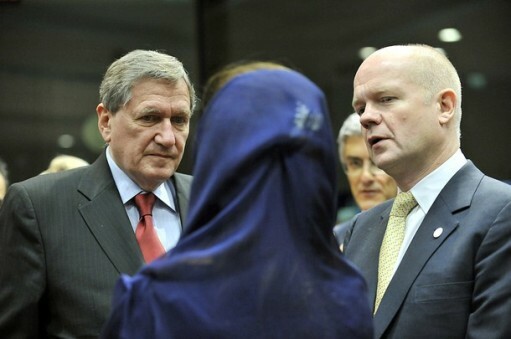 British Foreign Secretary William Hague (3rd R) smiles as he reaches for a boxes of chocolates offered to him by US Secretary of State Hillary Clinton (unseen) at the start of their meeting on October 14, 2010 at the NATO Headquarters in Brussels. NATO Foreign and Defence ministers are holding a rare joint meeting to discuss the new ‘strategic concept,’ a mission statement on how the alliance must respond to modern threats, from cyber attacks to missile strikes from ‘rogue’ states. 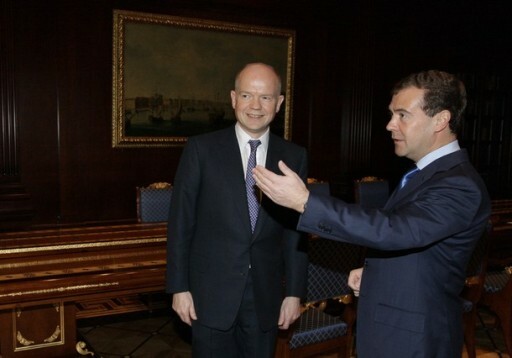 (KATAKAMI / FCO.GOV.UK) ) Foreign Secretary William Hague is visiting Finland today invited by Finnish Foreign Minister Alexander Stubb. 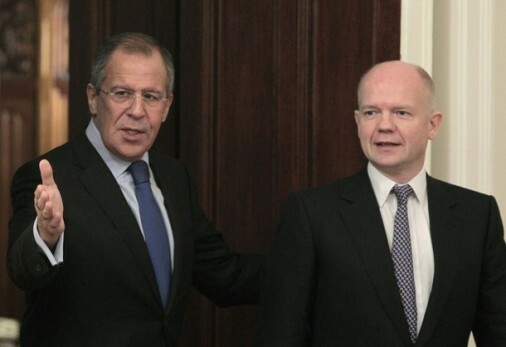 Foreign Secretary William Hague will deliver a speech to the Finnish ambassadors during the Foreign Ministry’s Leadership Week, and meet Foreign Minister Stubb for bilateral discussions. The Foreign Secretary will also meet Finnish Prime Minister Mari Kiviniemi, Finance Minister Jyrki Katainen, and Minister for Foreign Trade and Development Paavo Väyrynen. (KATAKAMI / GUARDIAN.CO.UK) The release of Lockerbie bomber Abdelbaset al-Megrahi was “wrong and misguided”, the foreign secretary, William Hague, has told US senators. In a letter to John Kerry, chairman of the Senate Foreign Relations committee which is holding an inquiry into the bomber’s release, Hague said that nevertheless it was “legally and constitutionally proper” that the decision was one for the Scottish government. 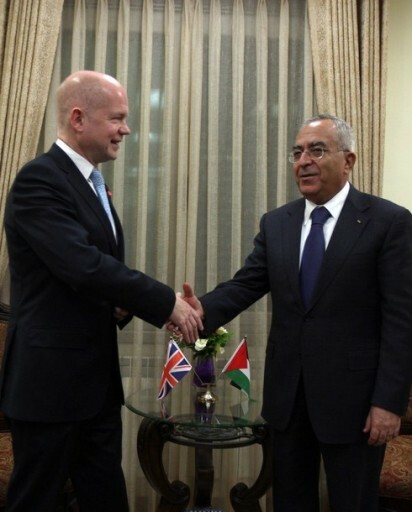 Hague said the then foreign secretary Jack Straw held several discussions with the oil giant BP about Megrahi before his transfer to Libya was agreed in 2007 but denied that this had any impact on his bomber’s release. Megrahi is the only person convicted of the 1988 bombing in which270 people died and his release on compassionate grounds last August provoked outrage in the US. 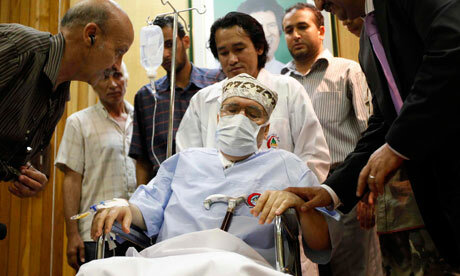 Medical evidence indicated Megrahi had three months to live but next month will mark a year since he was freed. The issue overshadowed David Cameron’s first official visit as prime minister to the US, amid concern that BP had lobbied the UK government over the prisoner transfer deal with Libya. 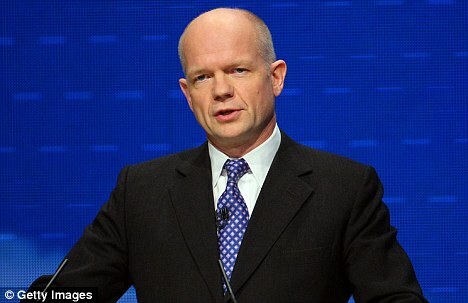 Hague said both he and Cameron had criticised the decision to release Megrahi. “We think that the decision taken by the Scottish executive to release him on compassionate grounds was wrong and misguided,” the foreign secretary writes. The Scottish government had wanted anyone convicted of the Lockerbie bombing excluded from a controversial prisoner transfer deal agreed with Libya in 2007. But this condition was opposed by the Libyans, and the UK government eventually agreed to deal without exclusions. 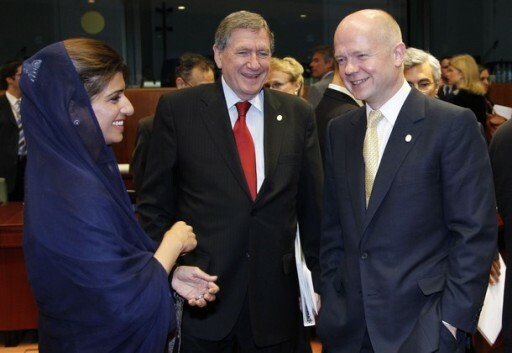 Hague’s letter acknowledges that several conversations took place between the UK government and BP about the exclusion. BP made the government aware of a warning from the Libyans that failure to agree the prisoner transfer scheme could damage an oil exploration deal that the company had signed with the country, Hague writes, adding that this was “perfectly normal and legitimate practice” for a British firm. A US senator today asked the Scottish government to reconsider its decision not to send officials to a hearing into the release of the Lockerbie bomber. In a letter, Frank Lautenberg said he was “pleading” with first minister Alex Salmond to help shed light on claims that BP had influenced the release. Salmond has declined an invitation to send his justice secretary Kenny MacAskill, who took the decision to release Megrahi, and a medical expert to the senate hearings in Washington. The New Jersey senator expresses frustration at what he portrays as the UK and Scottish governments blaming each other for the row. He writes: “I am pleading for direct representation from the Scottish government at our hearing next week to help us seek answers.